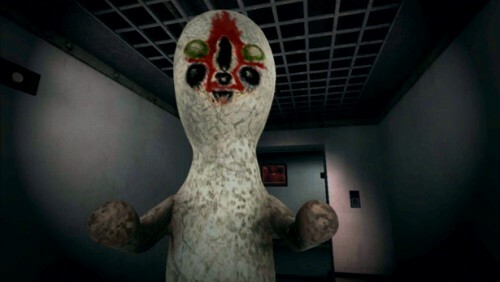 Face your fears and don’t you dare look away in SCP Containment Breach! 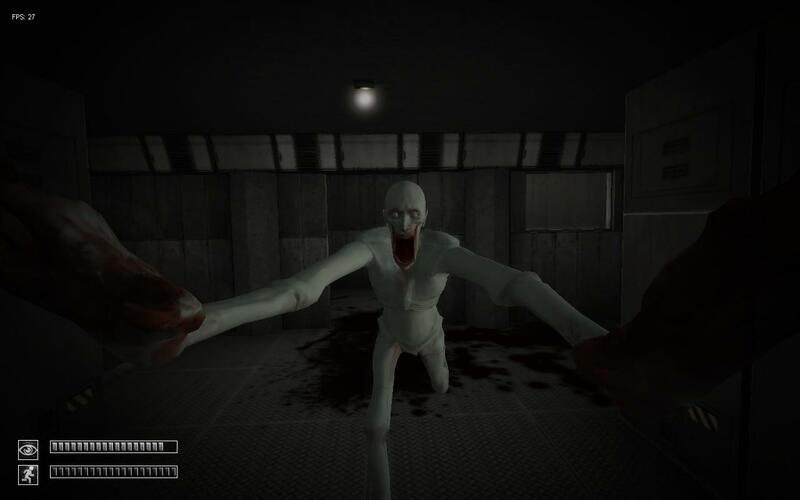 Developed by Joonas Rikkonen, this single player horror game is free to download from the SCP Containment Breach site and has spawned many videos on YouTube of other gamers experiences. Like other psychological horror games that have you fleeing and hiding, this has you staring at your pursuer hoping you can close the door on it before you blink. The game starts as you wake up as an inmate in a blank room to which you have barely little time to read a not so friendly welcome note before a guard opens the door and orders you to follow him. As you begin you will notice a bar in the bottom left corner of your HUD that steadily depletes. 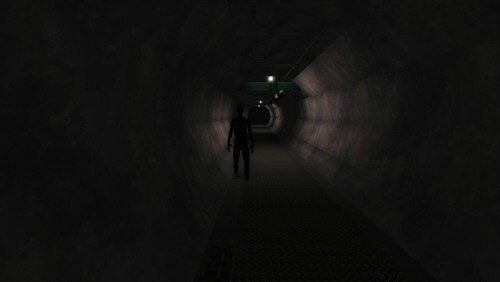 When it reaches empty the screen turns blank for a fraction of a second to simulate blinking, which is part of the concept and key aspects of this game. Our main antagonist in this story is a bizarre test subject named SCP-173, which is kept behind closed doors. The first time we are presented the bizarre creature; it is a motionless humanoid, skin coloured mass with arms and legs. Upon being ordered to enter the room in which it is contained, the door jams, keeping it open, then the lights flicker off then on. In the time it took the lights to come back on the monster has moved directly in front of you and is somewhat pursuing you. It seems powerless when you look at it, however, when you blink the position of the creature has change and is most likely to be stood directly in front of you and should you not be backing up at the time. Or if you look away, you’re likely to die and restart from where you last saved. With the fact that our monster can only reach us every time we blink or enter another room while facing forward, the game leads us into believing we can relax at some points, however the test subject can appear where ever and when ever it wants. I reached a moment of panic a few times when I had entered another room to find it waiting for me, close enough to think I could feel it breathing. You will jump off your seat at times and scuttle backwards to try and close the door before you blink so it cant come any closer. If its not our scary friend that’s trying to catch us, there are other moments that the game tries to lift us off our seats. I opened a door at one point during the game to be met by a shadowy figure screaming and running right towards me before it fell to the ground and disappeared, it may have been me letting out a little yelp and not the shadow! Another creepy moment included me standing in a room as I went to pick up a cup of tea I was drinking at the time and out from the floor came a human looking creature again, only he was rising from the ground slowly before reaching his arms out and killing me. This fine gentleman is known as SCP-106. The objective of this game, other than to make you shout profanities at jump scares, is to escape the containment of which you and these menacing creatures now reside. This wasn’t very clear at the start of the game and how you go about it is only really implied when you start picking certain objects up. It was only when I found a pass key did I realize that I needed to find more in order to progress through doors that had been previously inaccessible. Not only did this part of the game not get any real explanation, the main focus on looking at your attacker and making sure you don’t blink while doing so isn’t either. This may have been explained in a note that you pick up in your cell at the start, however you aren’t given enough time to read it through before you are escorted out of your room by a guard and the game is set in motion. In fact I died right at the start three times before I knew what I was doing. The graphics in this game can be seen as a slight let down to what is actually a clever horror game, as it looks as though this game could have been played on a Nintendo 64 or something of that time. However, we all know that aesthetics aren’t the be all and end all, as we’ve seen in games such as Minecraft or looking back at gems like Goldeneye; the creatures and monsters in this game still do what they were meant to and make us jump or cringe in horror. As I booted this game up for the first time I didn’t think I was going to both enjoy and consider this a scary enough experience. In truth it can get a little addicting when you have little eureka moments and have the encouragement to proceed further, maybe even reach the end. The game-play speaks for itself and does manage to do exactly what it intends to. There are some moments at the start where it is unclear and you don’t know how to progress through the rooms but once you know what you’re doing it is a lot of fun. This is a free game after all and is well worth downloading and spending some time to give it a go. This entry was posted in Uncategorized and tagged Containment Breach, Goldeneye, Indie, Joonas Rikkonen, Markiplier, Minecraft, Nintendo 64, SCP, YouTube. Bookmark the permalink.